What Is Gain Higher Ground About? Is Gain Higher Ground A Scam? If you’ve been struggling in your online business, at least you can console yourself with the fact that you’re definitely not alone. Up to 95% of all online businesses don’t actually succeed. If you’re thinking about going into the online business niche, then that kind of success ratio should give you pause no matter how many “gurus” online say that it’s easy. You also have to worry about the proliferation of scammers out there trying to profit off you without actually providing you with anything substantial in return. No, it’s not easy. But it can be done, and that’s what Gain Higher Ground is all about. It’s a membership site that offers a library of resources and guides to help you learn. Unlike many of its competitors, it’s also perfectly legit. What Is Gain Higher Ground and How Does It Work? Basically, it offers you a clear step by step plan on how to succeed with your online business, using video tutorials as your study materials. It covers a wide variety of topics, and the basic topics (such as finding the right niche) are covered in the crash course “15 Steps to Success”. These study materials can help you regardless of the niche you may choose, whether your site is all about fitness, cooking, or financial trading. It covers affiliate marketing in detail, and you can use the lessons here if you want to create your own items to sell online. The pay scheme is also affordable and simple too. You can just pay $5 to try it out for 7 days. If you like what you get for the week, you can then go on to pay for full membership at $37 a month. You also get a 60-day refund guarantee if you’re not satisfied, and of course, you get to keep all the materials you’ve already downloaded. There aren’t any upsells at all, thank goodness. The creator also uses his real name, and he is Rob Cornish based in North Cornwall, England. He started out back in 2010 and didn’t make any money for many months at the start. Now his online business earns 6 figures a year. The lessons he learned from his struggles and eventual success are now made available to you. Who Is Gain Higher Ground For? This is meant for every person who has not yet made any inroads into online business success. It’s for you whether you’re just planning to take a stab at doing business online or you’ve been at it for years without much luck. It’s great for beginners because the language and style used are clear and no-nonsense. There are very minimal jargon and techno-speak. As long as you understand basic English, you can benefit from the info here. With Gain Higher Ground, you gain instant access to a lot of modules that can help you with your business. It has lots of modules, although the claim that every bit of info here was created by Rob Cornish himself. They’re all original and there aren’t any rehashed materials. The first module you need to try out first is the “15 Steps to Success”. It’s the crash course module that gives you the basics of what you need. It starts from scratch and with this course you can build a website of your own. It’s detailed, so you’ll actually know just what you have to do. Even the buttons you need to click are pointed out. Then there’s the “Basecamp” section, where you find detailed guides to the kind of online business you want to run. There’s a guide for expert tutorial sites, membership websites, and affiliate marketing. There are plenty more, of course. You can also find Product Creation Central for guides if you want to create your own digital products which you can sell online. With Profitable Niches, you get expert advice on which niche you should pick. The Blogging Blueprint tells you all about how to create and monetize a successful blog. Video Mastery is all about video marketing, while Technical Toolbox is all about the technical stuff when it comes to building and running your website. The support is excellent since you can email Rob Cornish and he’ll answer your questions as quickly as he can. You just have to understand that there are limitations to this. You’re not the only GHG member so he may be attending to others that came before you. Also, the guy needs to sleep too. If you want a more immediate response, you can just communicate with the other GHG members through the website forum. There you’ll get the answers from people who have asked the questions you have now. (+) It must be admitted that Gain Higher Ground is a good choice. The price is reasonable, and the info you get is outstanding. Everything’s explained in simple English, the instructions are detailed and clear, the range of topics is broad, and the price is eminently reasonable. It’s refreshingly free of upsells too. (-) There’s really nothing bad about it, but it’s just that in some ways it’s not as good as other top notch educational courses on online business success. There’s no free trial period unless you count the 60-day money back guarantee period. There are no levels to the kind of membership you can have so you don’t have to pay for features you won’t really use. Live support is also somewhat lacking. Gain Higher Ground is good, but some options may be better. 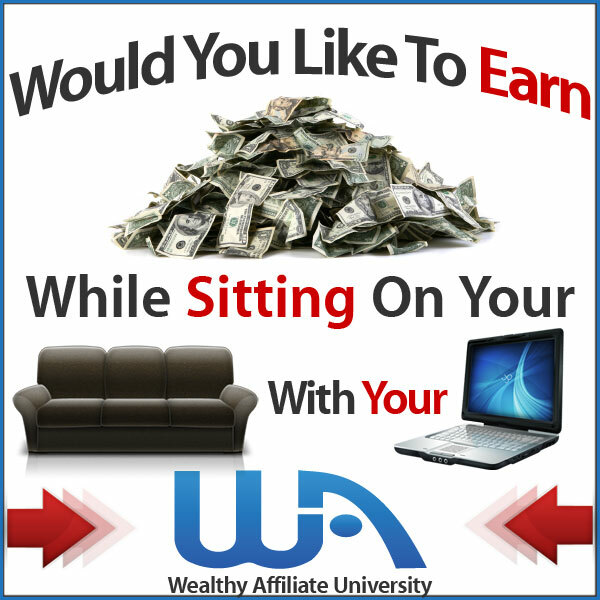 Wealthy Affiliate is one such alternative if you’re a beginner. It has many of the same good features as GHG, such as step by step instructions, clear language, and a broad range of subject matter. However, WA offers several membership levels and one of them is even free membership. You also get live support too as well as able to communicate directly from the Owners. In addition, you also get programs and tools to help you out. What make WA so success is they already help tons of people succeed in the online world with one very simple principle – “Help people to achieve what they want first and the money will come then”. Look at their website with their Promises to Each of everyone. The only program that I Ranked 10/10 for your online business. This is a legitimately good choice, and it rates a solid 7/10 rating for Gain Higher Ground Program. It’s a breath of fresh air among the stink of scam “educational” courses out there on the Internet. As usual, I build this website and review the program out there to make sure your money is well spent. If you have others program that you needed me to review feel free to let me know. I will put my reader in the priority list first. Do you try Gain Higher Ground Before? Feel free share with us your experience with your thought. Last but not least if you enjoy reading this review feel free to share within your networks to let others benefits from it. Maxx is an experienced online marketer that would like to give a hand to those wants to achieve more in building a successful online business. He also has a strong passion for investing and spent most of his free time doing research and trading. thanks for a good review of Gain Higher Ground! Sounds like a good legit system. Except for the free starter package and live chat at Wealthy Affiliate, would you say that they are equally good? I’m thinking that those $13 extra per month for the Premium membership with Wealthy Affiliate will add up, so is there anything special that still makes it worth it to choose WA? Hi Stina, Of course Gain Higher Ground is not equally with Wealthy Affiliate. Base on the rating rank I could say they achieve more than average and indeed the owner provide very informative training. More importantly it’s legit program out there. But Wealthy Affiliate is still my #1 choice if you would to ask my advise. Thanks for an honest and unbiased review. This is the first I’d heard of Gain Higher Ground. After reading your review, I hope over to the Gain Higher Ground website. I’m very impressed with Rob Cornish and his site, and how he clearly is focused on helping his members. I’m a member of Wealthy Affiliate and that is what I recommend. As good as Rob Cornish’s site is, he is still a one-man shop. Wealthy Affiliate is a full community, plus training, plus high-security website hosting. Exactly Gary, Indeed Rob offered program are great and legit but if you look at the bigger picture you will need to reconsider which program offered you better results. In this case, I will advise people go for Wealthy Affiliate. Perhaps you pay lesser if you are yearly subscription member but get tons of premium membership feature like what you said here. I really enjoyed your article and am quite tempted to try what you are talking about myself. I have had some bad experience with many scammers out there and I still have some tough time to really succeed in my online business. So What is the last advice would you give to someone who is ready to go for Gain Higher Ground. Great comment and thank you for sharing ! Thank you for having the same point of view with that WA is the best platform for people want to venture in the internet era. And glad you found it. Take care Ralph.